Small Red-eyed Damselfly (Erythromma viridulum). Male. Taken at Crookham Common, Berks, on July 10th 2018. Approx 5.75x lifesize. Male. Taken at Crookham Common, Berks, on July 10th 2018. 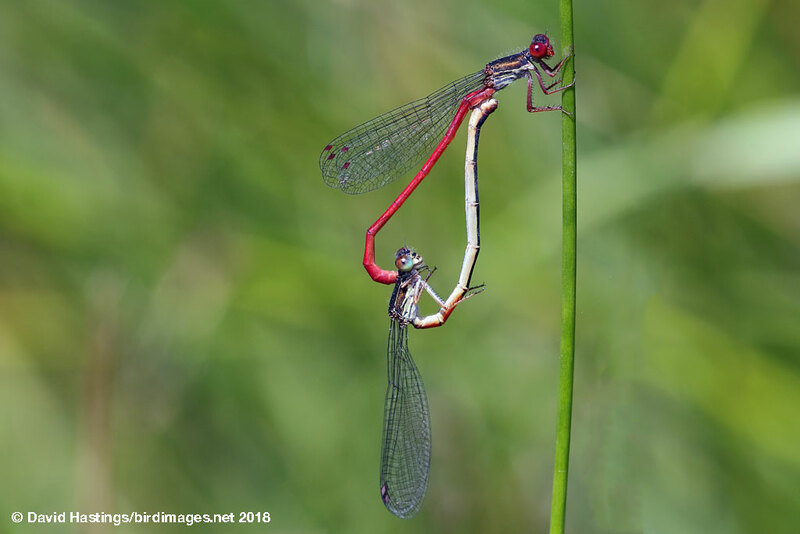 Small Red-eyed Damselfly (Erythromma viridulum). Male. Taken at Crookham Common, Berks, on July 18th 2015. Approx 5.75x lifesize. Male. Taken at Crookham Common, Berks, on July 18th 2015. 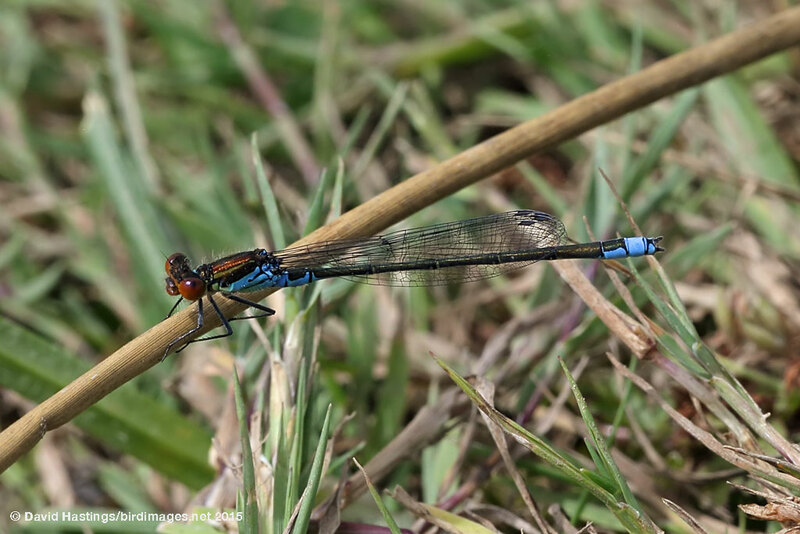 A smaller version of the Red-eyed Damselfly. It has blue on the sides of S2-3 and S8, which is missing on the Red-eyed. There is a black X-shaped mark on the top of S10. It is found in most of Europe, and was first recorded in the British Isles in 1999. It favours eutrophic standing water, clogged with aquatic vegetation. Its flight period is May to September in the south, but mainly in July and August in the north. Nymphs take a year to develop. Males typically perch on emergent vegetation. It is locally abundant in south-east England.